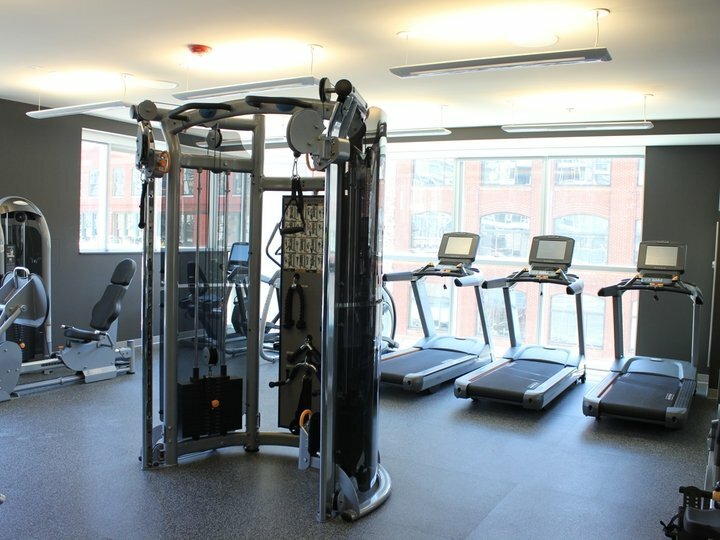 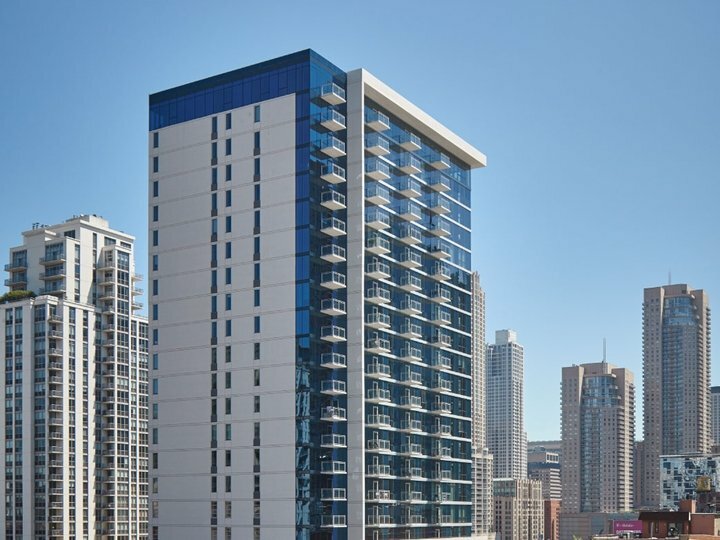 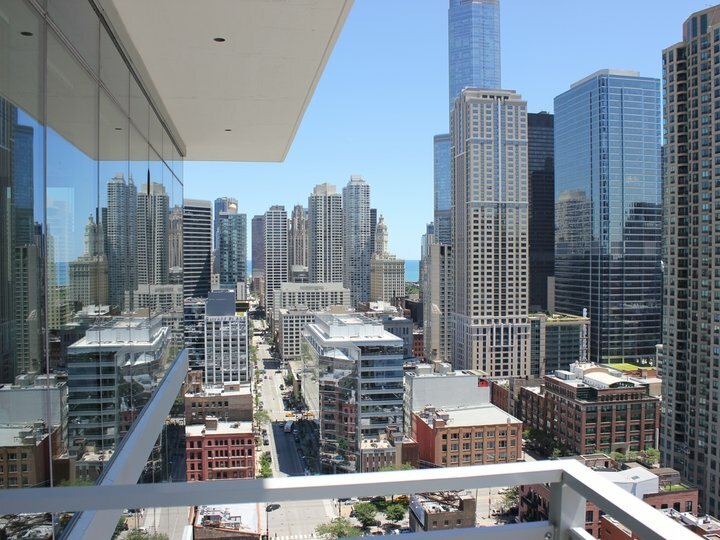 Located at 220 West Illinois, Jones Chicago residential high-rise offers the best in luxury downtown living right in the heart of River North, one of Chicago’s liveliest and most happening neighborhoods! 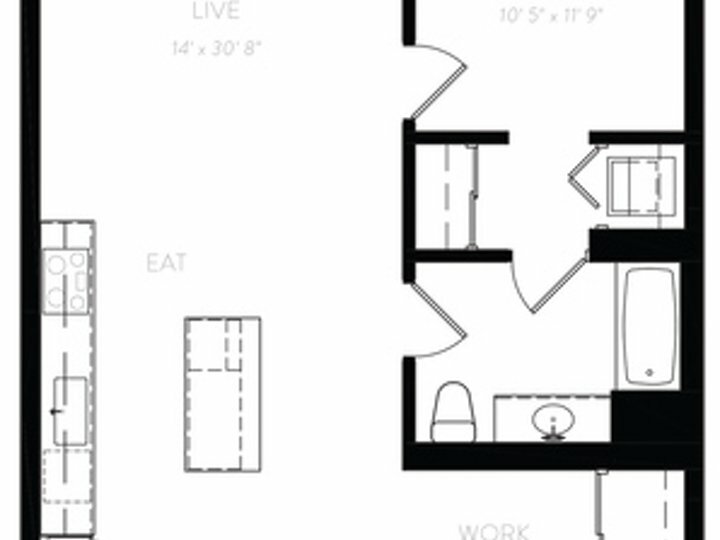 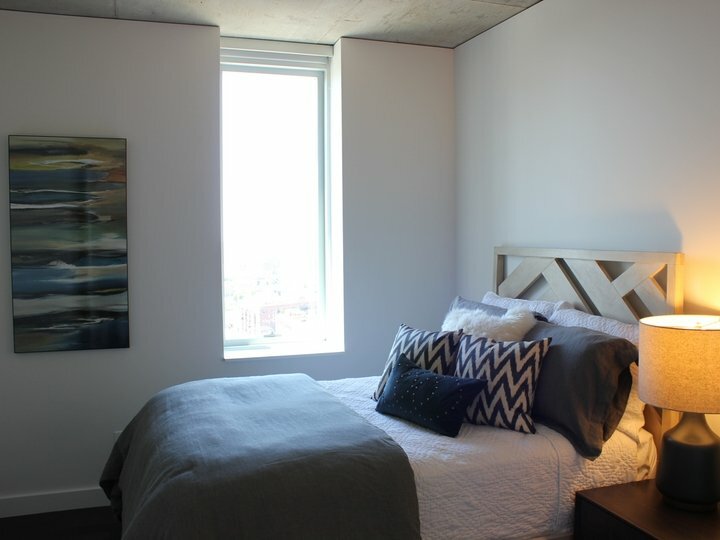 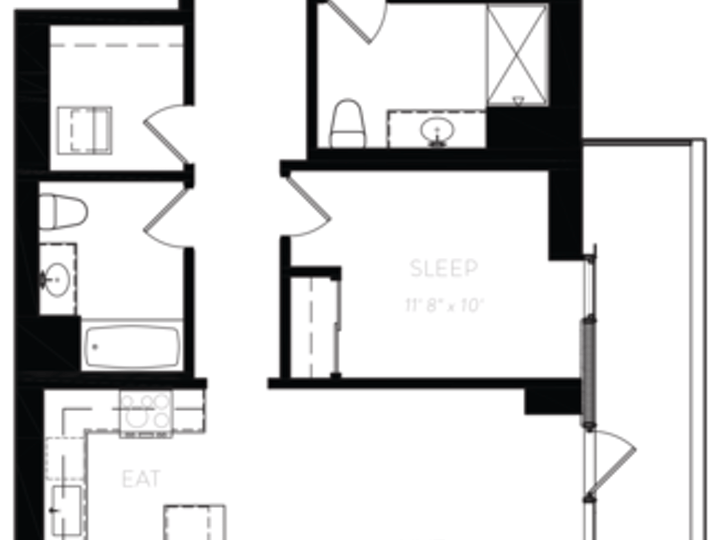 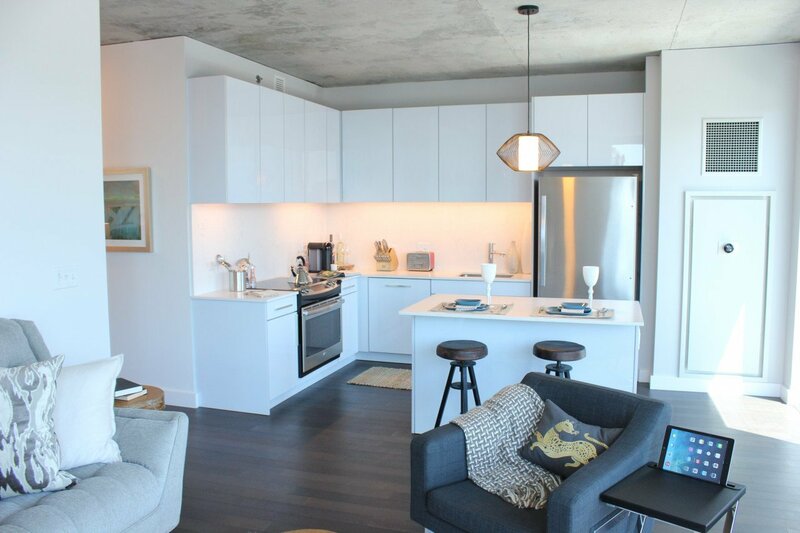 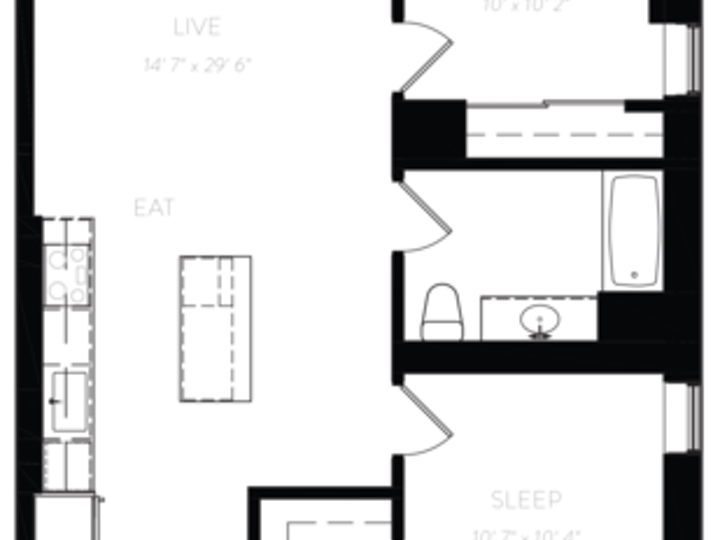 This premium downtown building offers convertible, one-bedroom, and two-bedroom apartment layouts, designed with the utmost attention to detail and finest finishes. 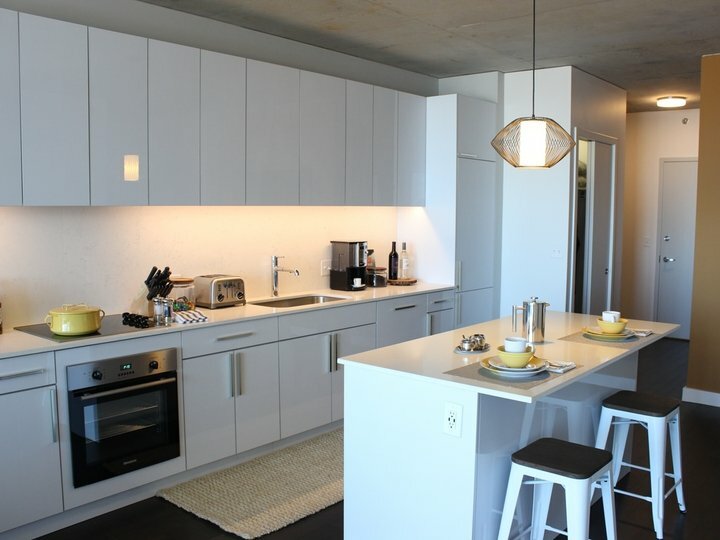 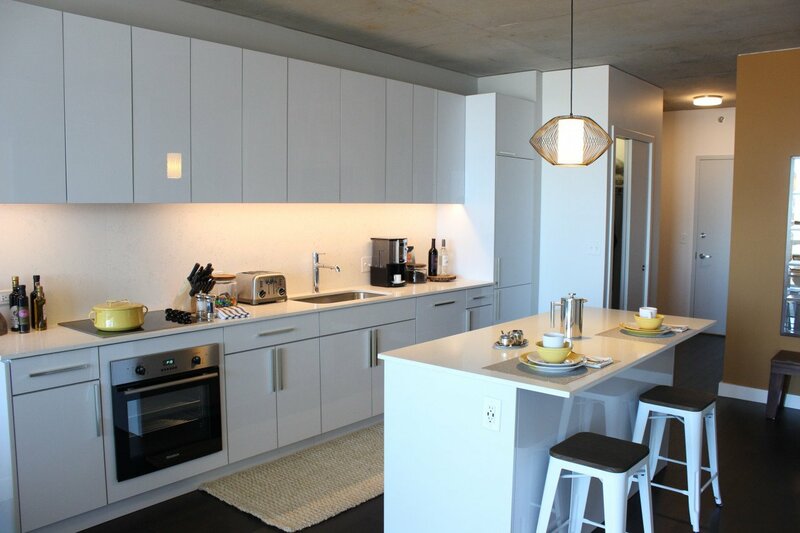 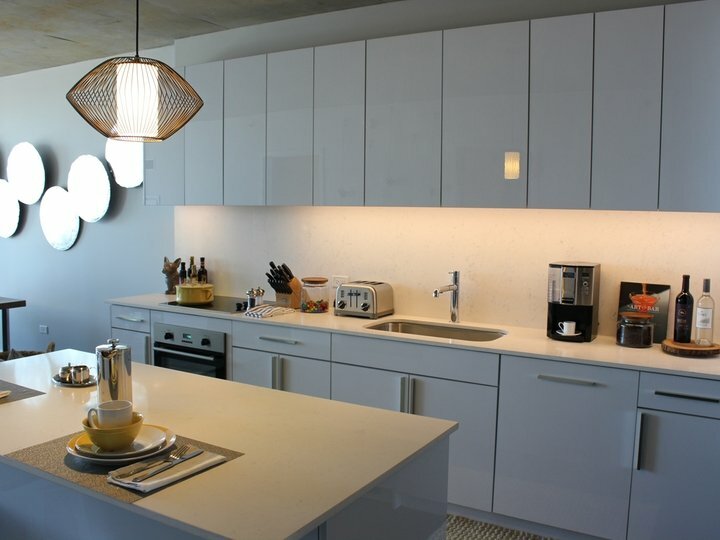 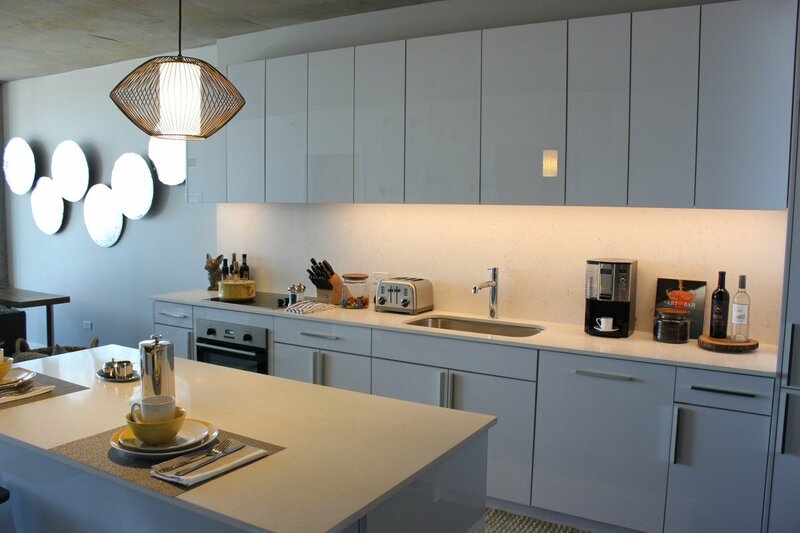 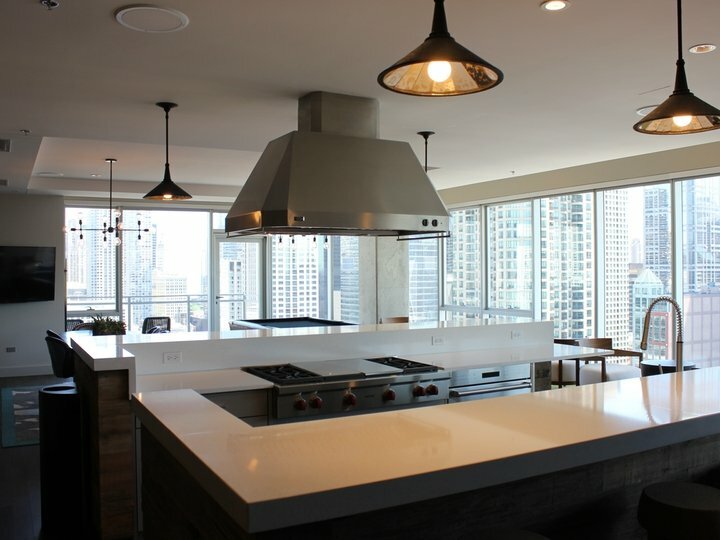 Smart, spacious interiors feature modern kitchens and ample storage space behind beautiful, sleek cabinetry, plenty of closet space, and floor-to-ceiling windows showcasing fantastic city views. 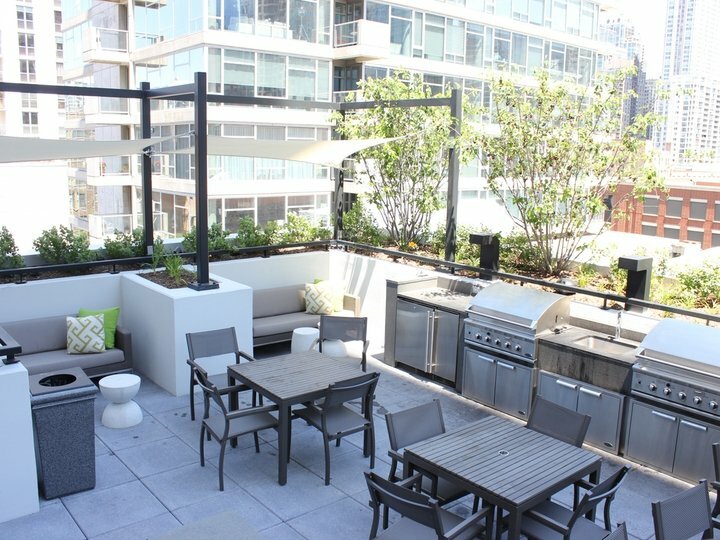 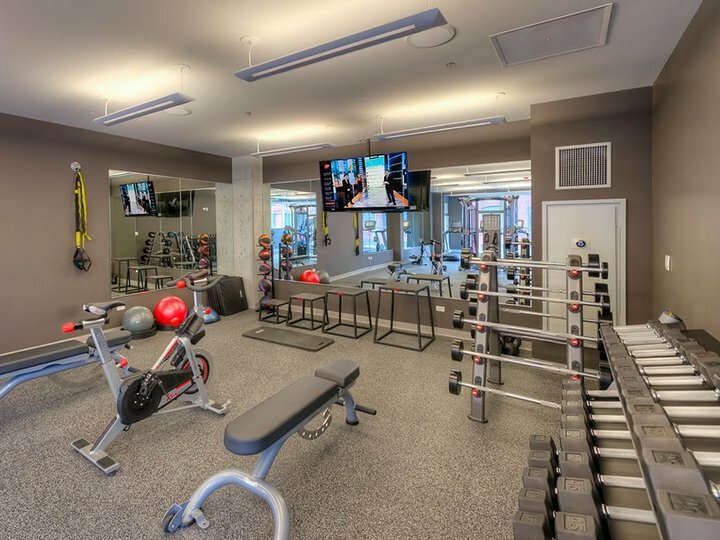 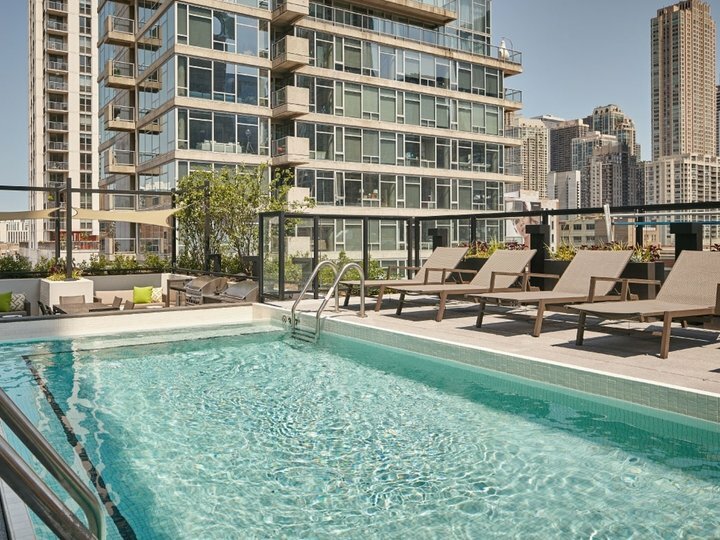 Just some of the community amenities include a state-of-the-art fitness center, an expansive outdoor terrace and sun deck with a pool, cabanas, fire pit and grilling stations for all your summertime entertaining needs, and a rooftop lounge with a chef’s kitchen, pool table and TV area. 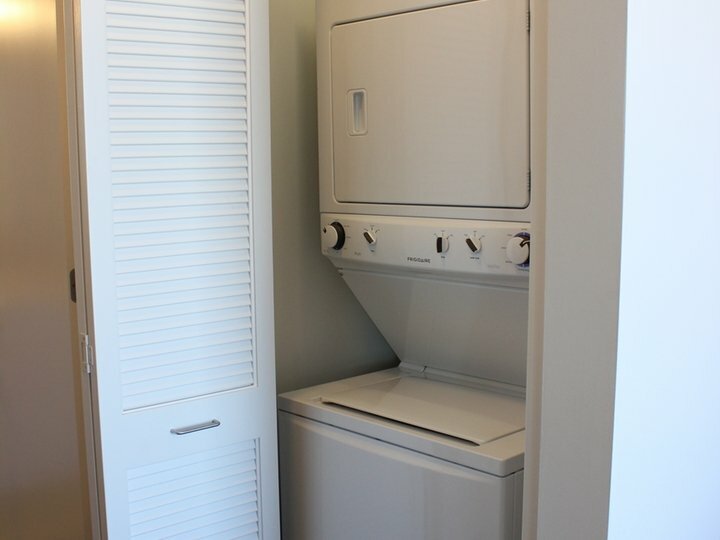 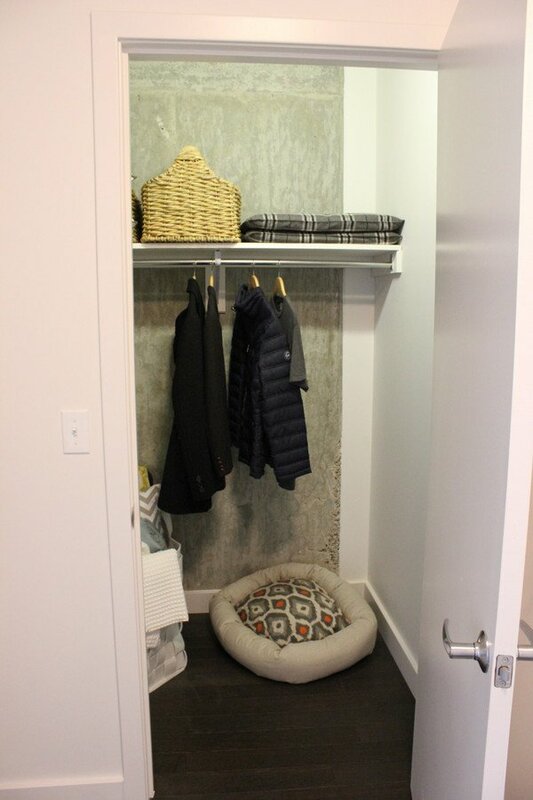 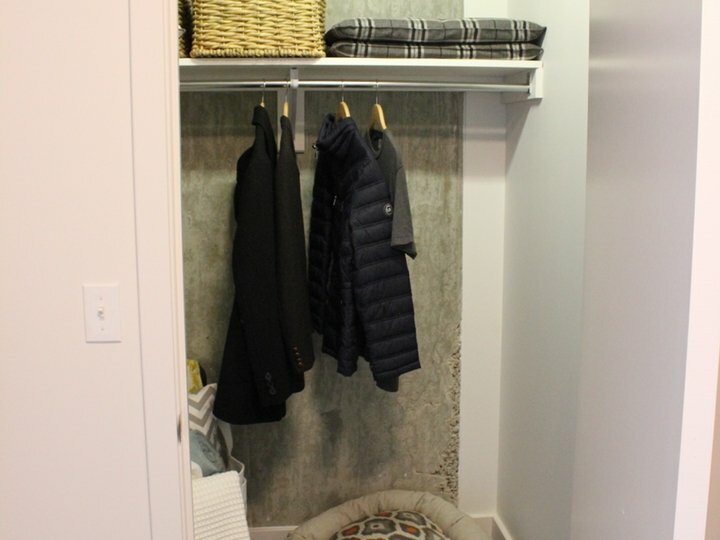 For all you animal lovers, the building is pet-friendly and has a covered dog run for early morning and late night walks, and even dog-washing stations! 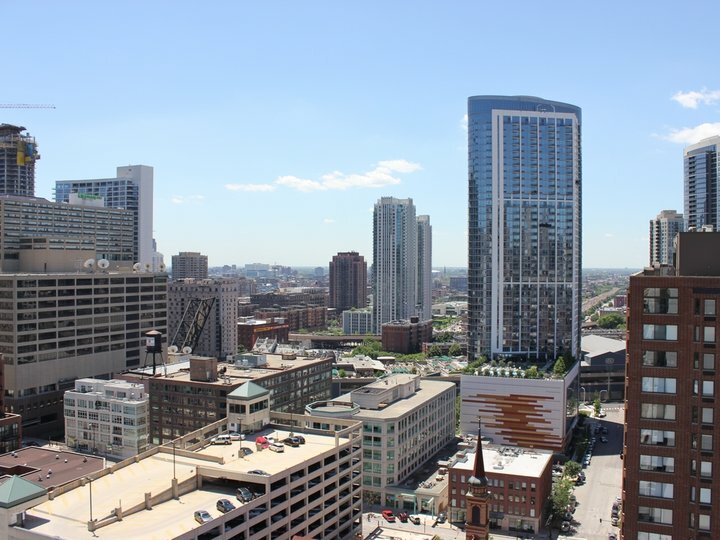 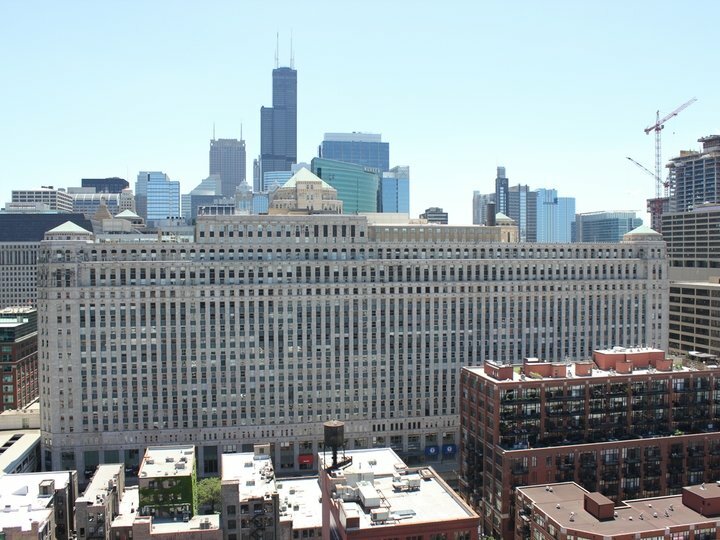 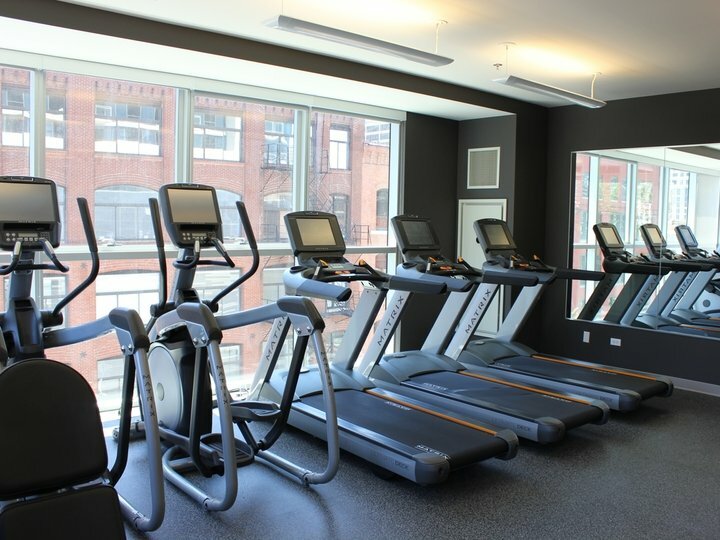 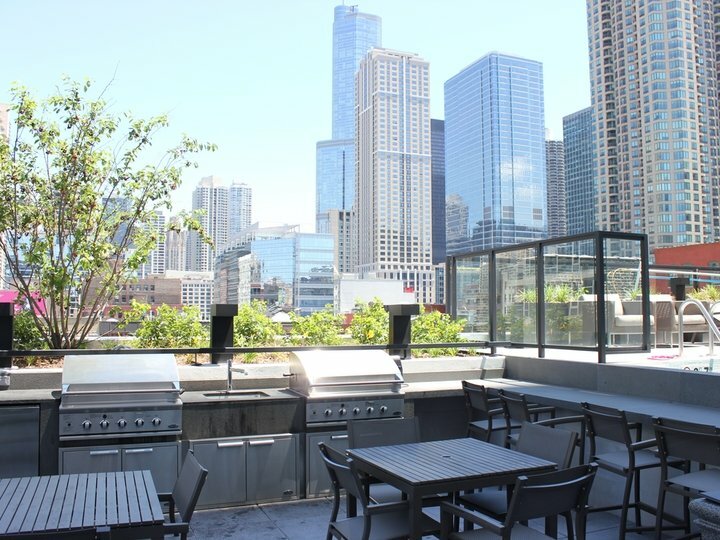 The Jones cannot be beat for location—living right in the middle of everything makes it easy to walk to the Loop, the Magnificent Mile, Streeterville, and Navy Pier. 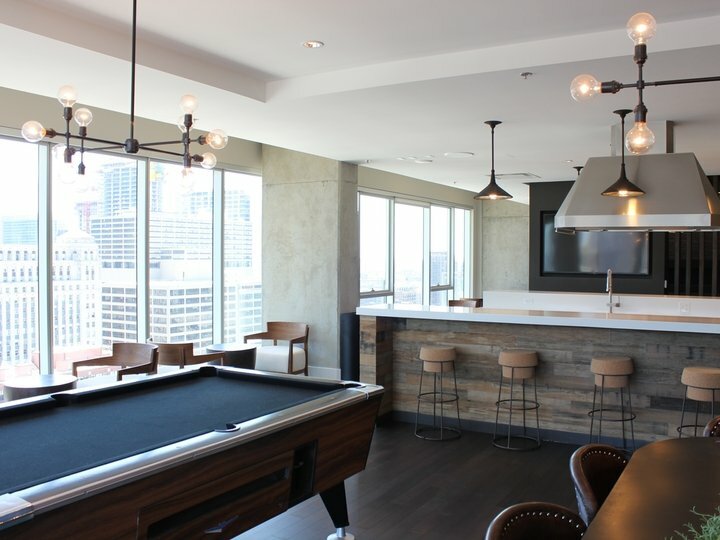 Endless options for fine and casual dining restaurants, bars, and nightlife are right at your doorstep. 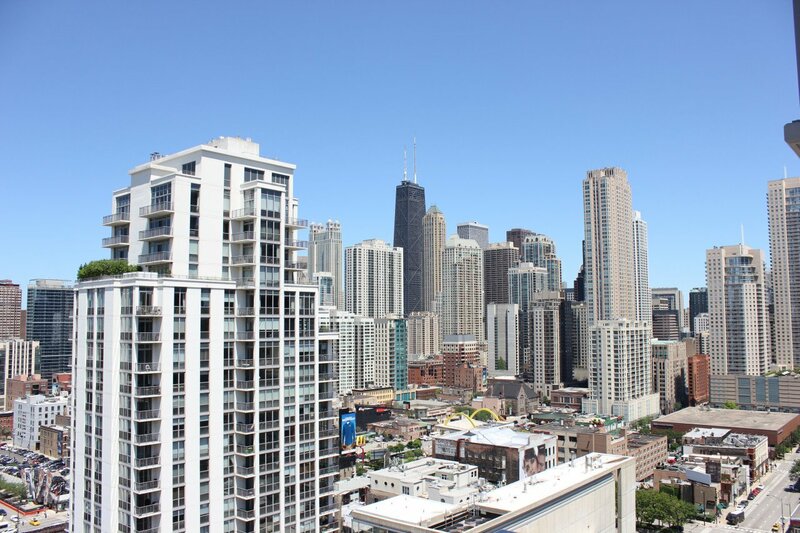 Whole Foods, Trader Joe’s, and Jewel-Osco grocery stores are just a short walk away, and the CTA Red Line is right there, too, making it quick and easy to get anywhere in the city. 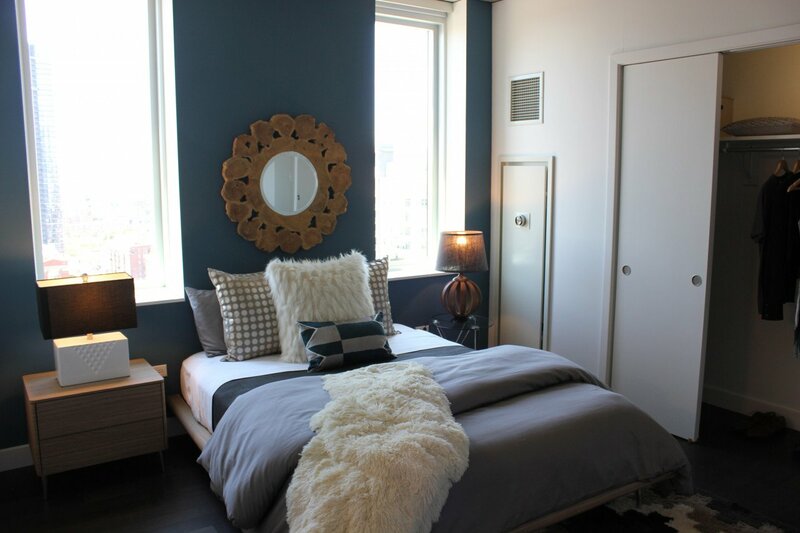 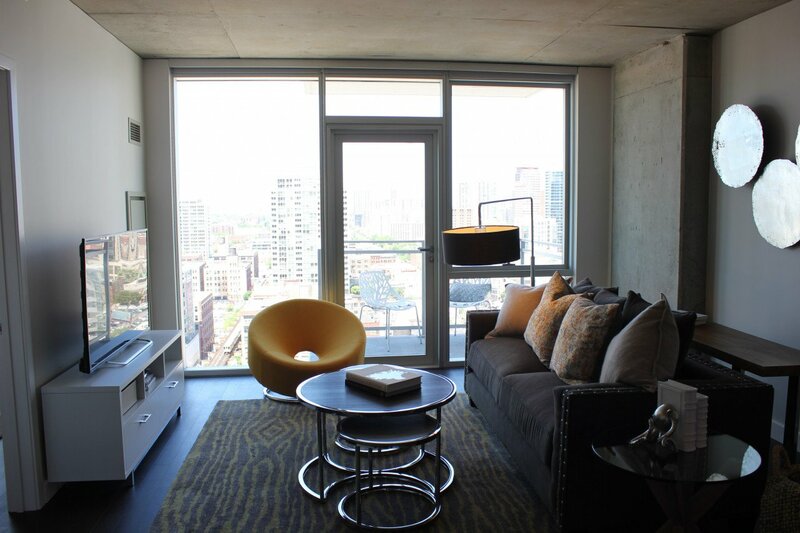 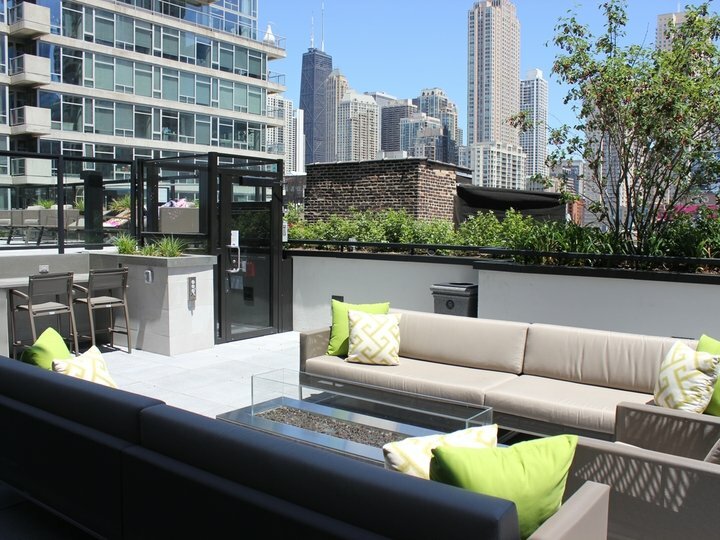 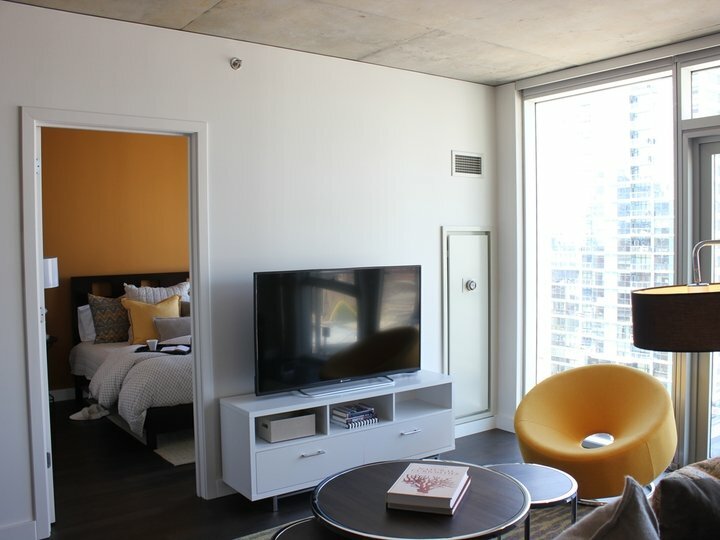 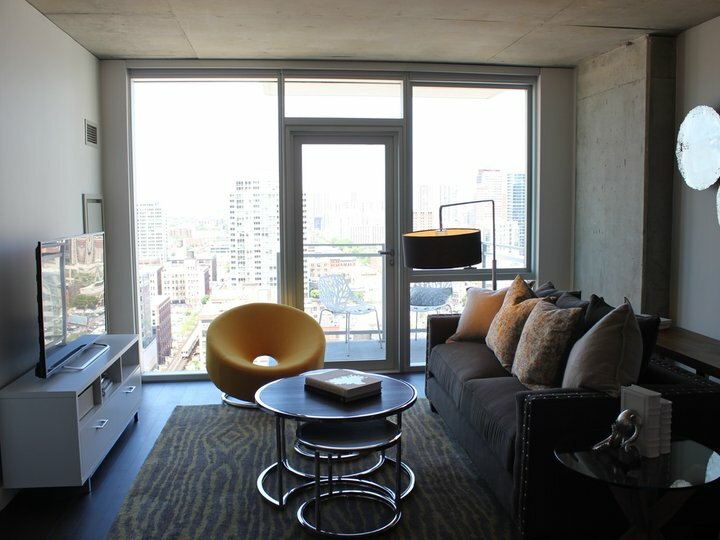 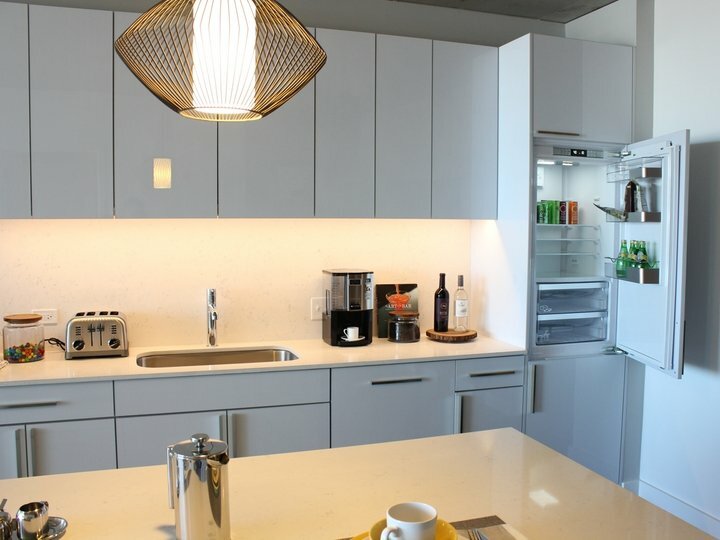 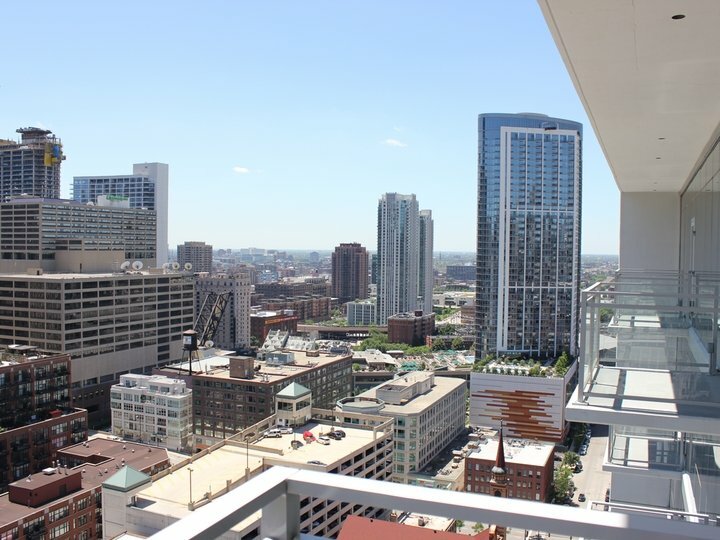 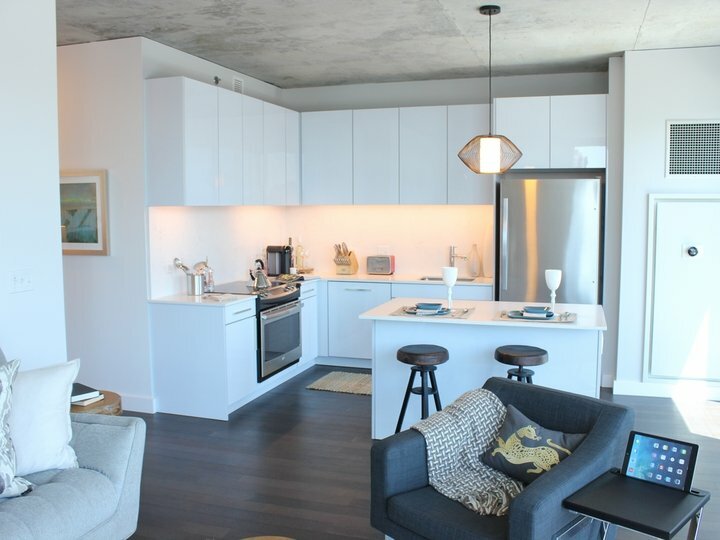 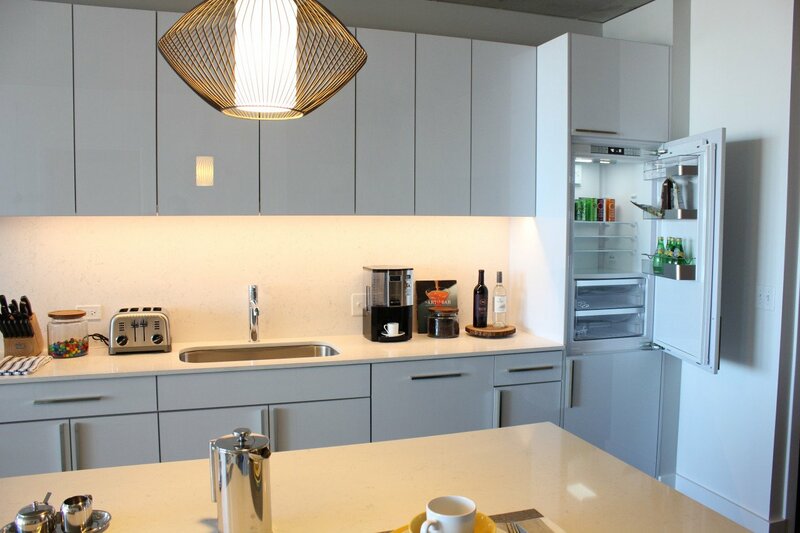 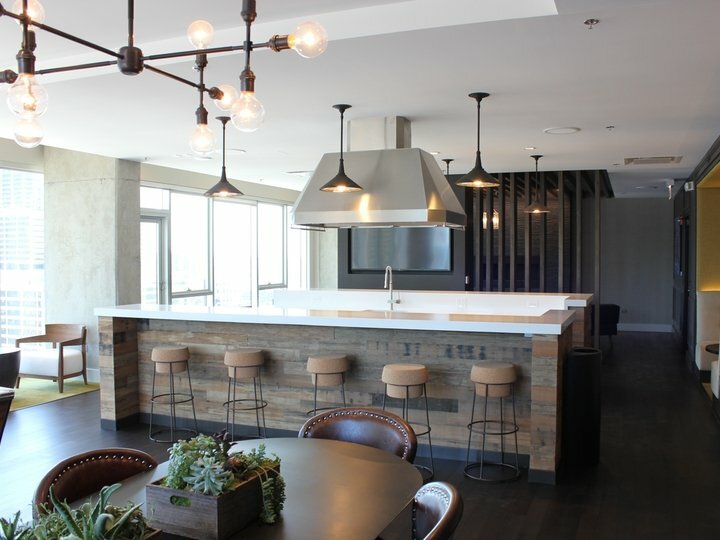 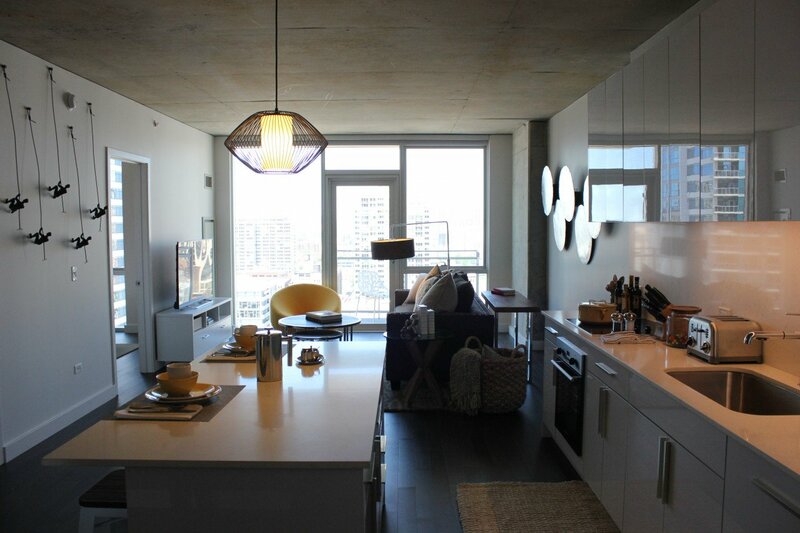 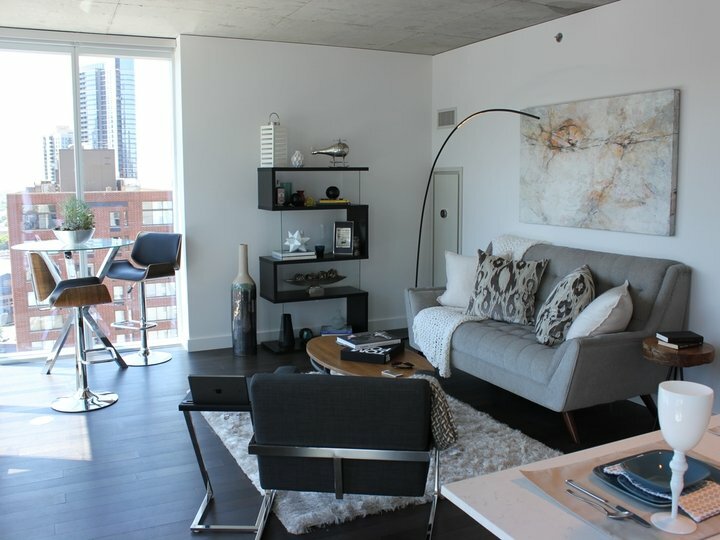 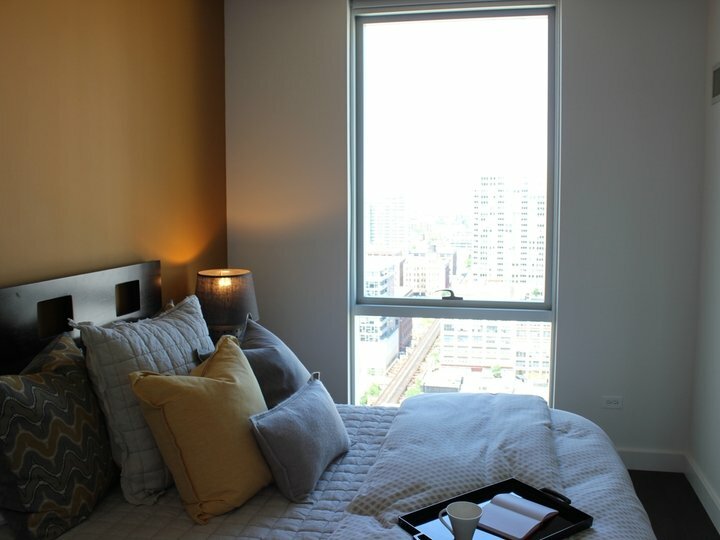 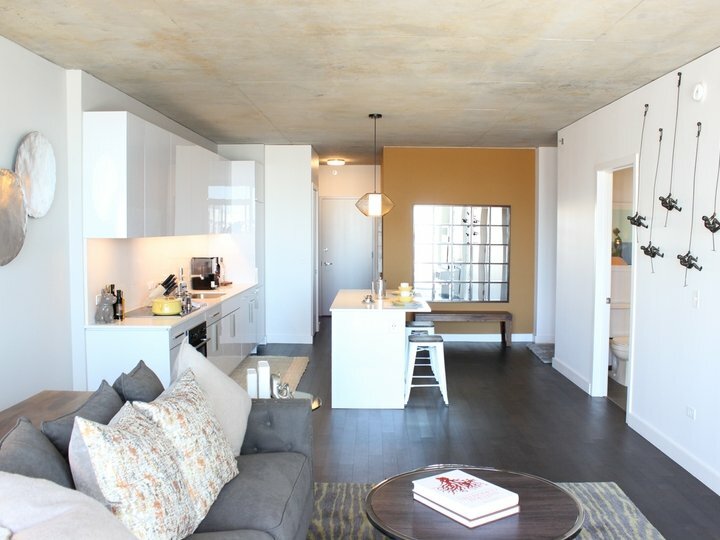 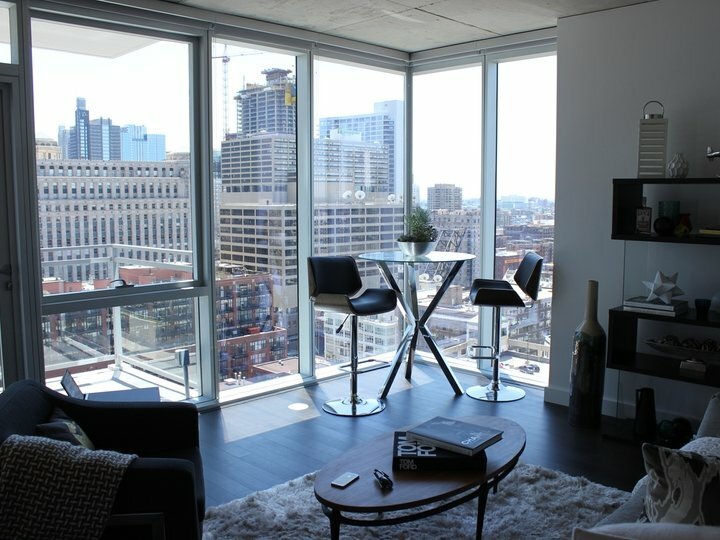 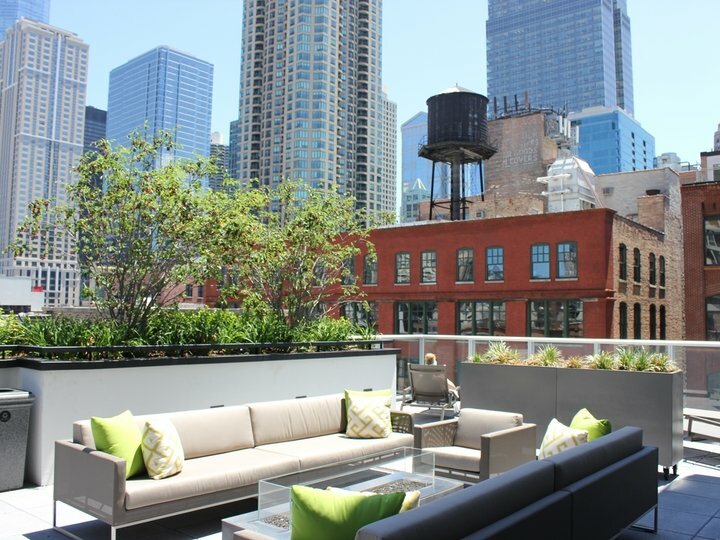 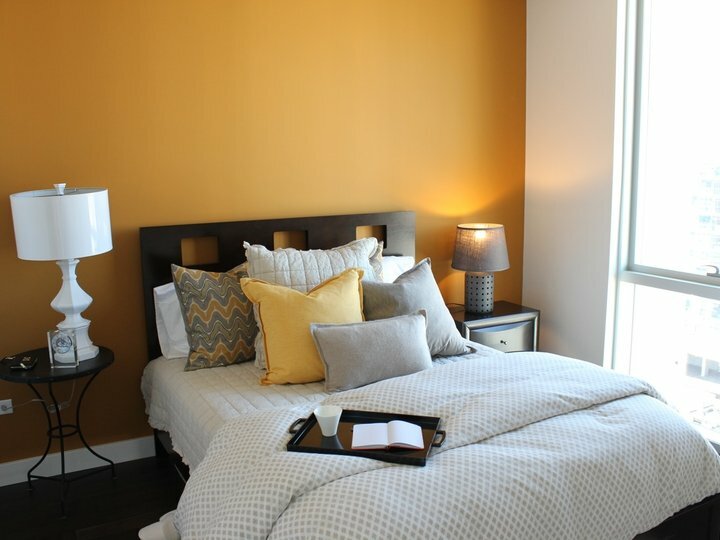 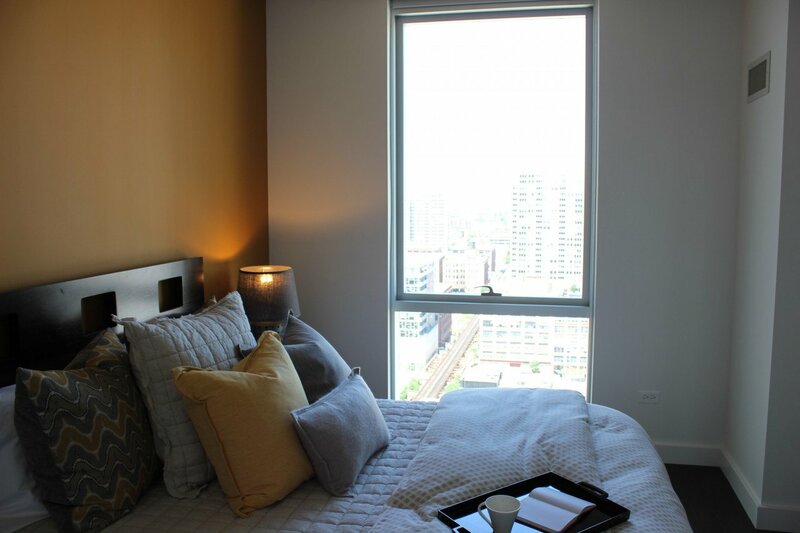 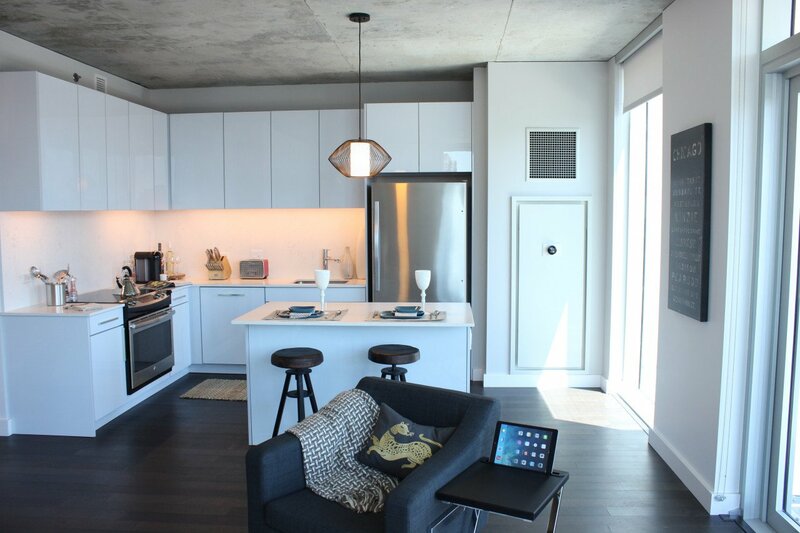 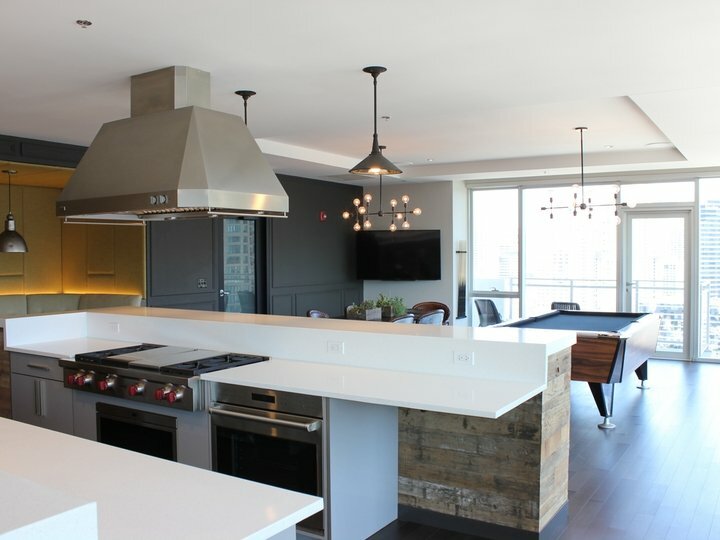 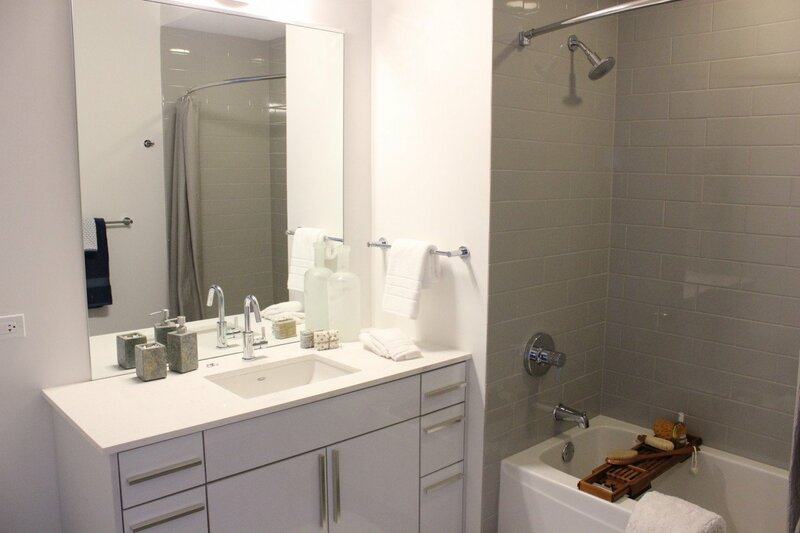 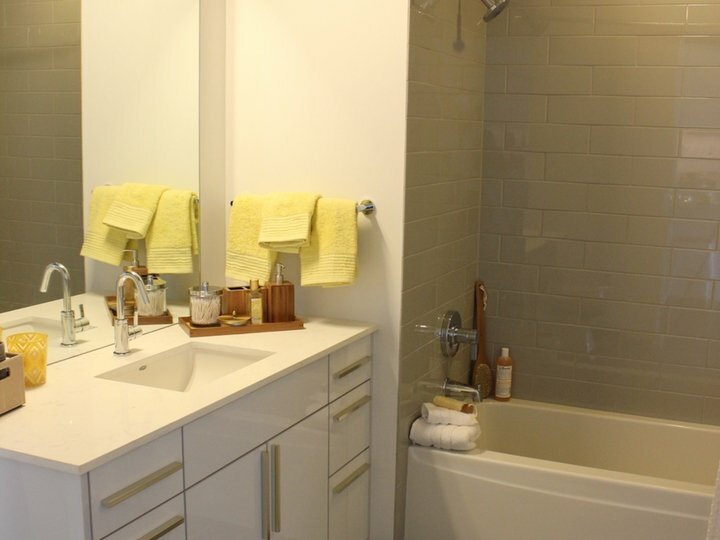 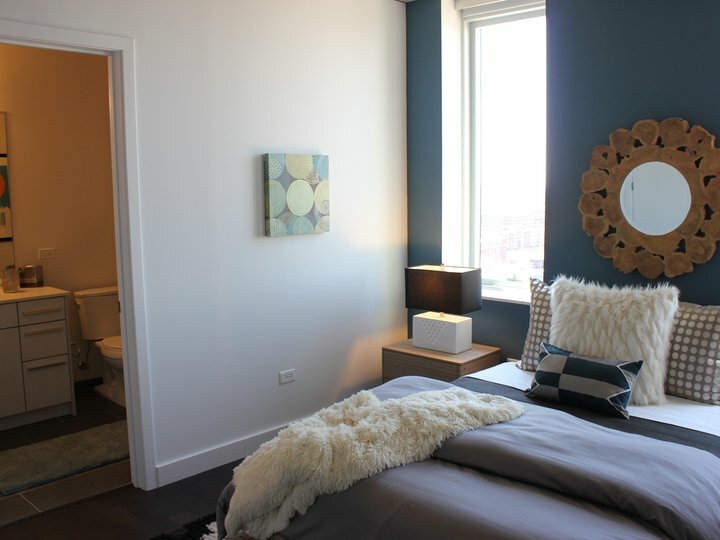 Make The Jones your new home in River North and start living the urban life you’ve imagined! 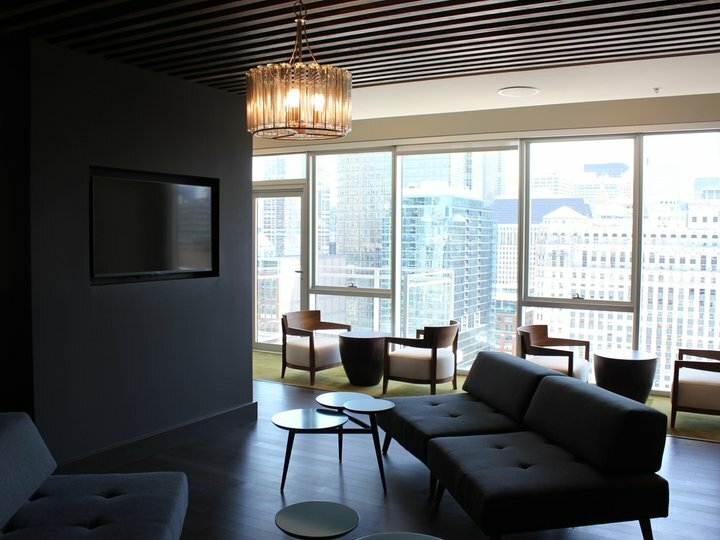 The Jones is a Chicago apartment located at 220 W Illinois St. 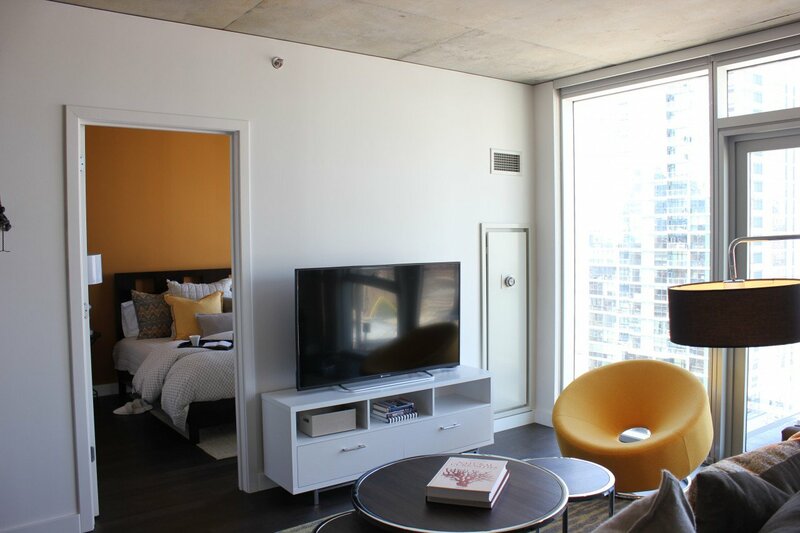 The property features 119 unit types ranging from studio/1 bathroom to 2 bedrooms/2 bathrooms with rent ranging from $2070 - 3800; the market average ranges from $1,422 to $2,028 for studio and 2 bedroom apartments, respectively.